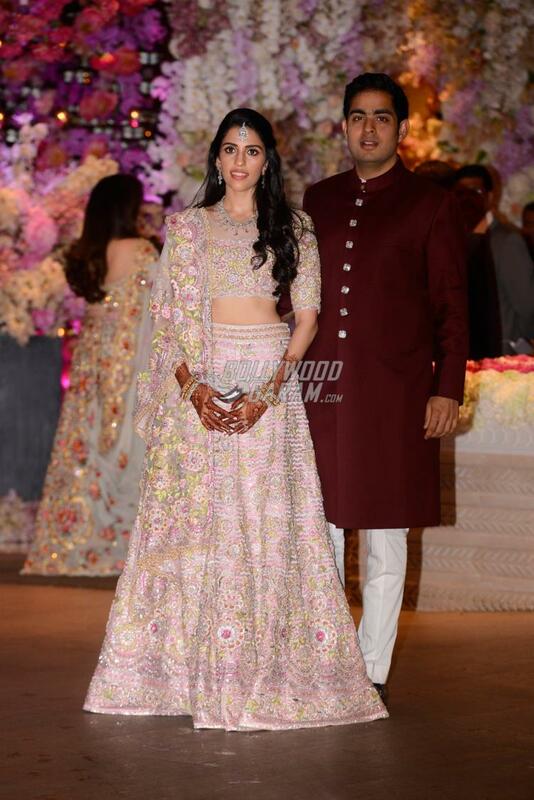 Akash Ambani and Shloka Mehta formally got engaged in a grand engagement ceremony held at Antillia in Mumbai on June 30, 2018. 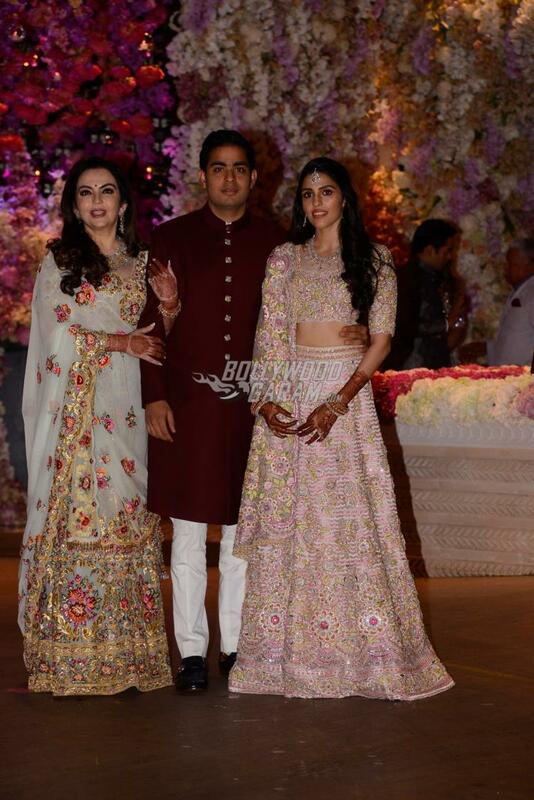 The Who’s Who of Bollywood attended the grand event. The couple looked gorgeous as they came out to pose for the paparazzi. The functions for the ceremony started off a few days before. 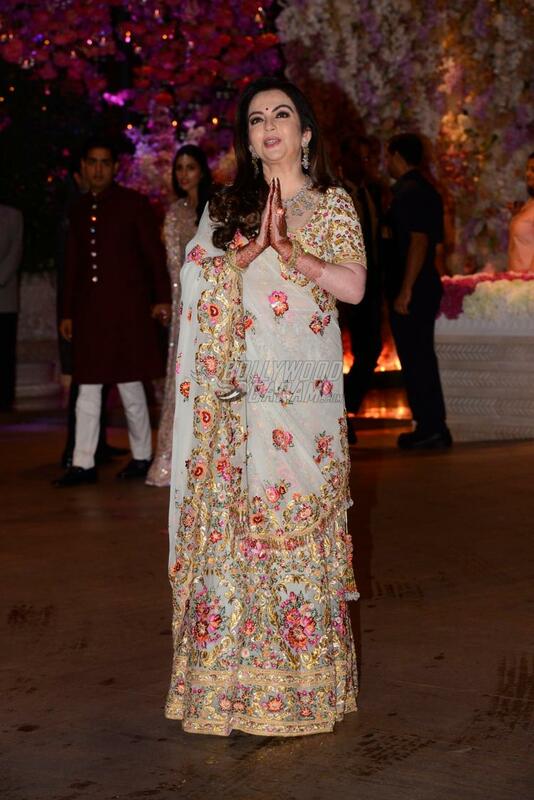 Reports said that a high profile floral designer from California was flown in for the decoration of the venue. 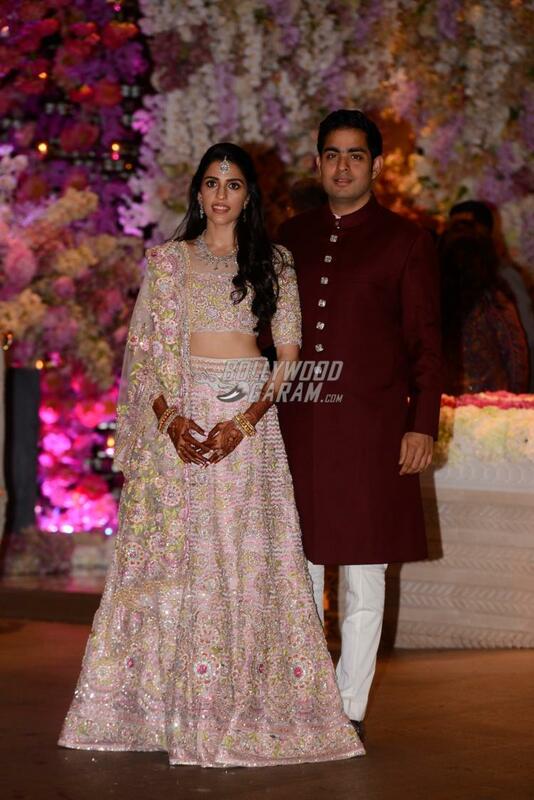 Akash looked royal in a maroon sherwani with a white pyjama while Shloka looked pretty in a pink embroidered lehenga. 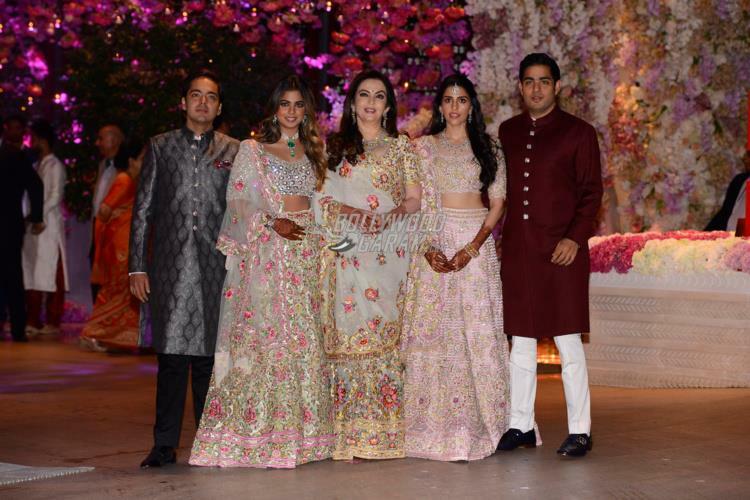 The couple was seen posing with Nita Ambani and Isha Ambani. The engagement ceremony was hosted by Shah Rukh Khan, who attended the ceremony with wife Gauri Khan and son Aryan Khan. 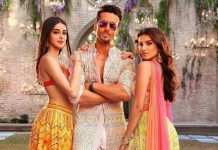 Akash had formally proposed Shloka in March, 2018 in presence of family members in Goa after being together for five years. The wedding is expected to take place by the end of 2018.